Scientists have identified a group of genetic mutations in patients with aplastic anemia, which will likely help doctors optimize treatment for this rare and deadly blood condition. The study, appearing on July 2, 2015 in the New England Journal of Medicine, could lead to tailor-made treatment plans for aplastic anemia patients as part of the emerging precision medicine movement. The article is titled "Somatic Mutations and Clonal Hematopoiesis in Aplastic Anemia." It is the largest study of its kind to examine gene mutations in aplastic anemia, the scientists note. The work involved researchers from the National Institutes of Health (NIH), the Cleveland Clinic, Cleveland, Ohio, and Kanazawa University, Kanazawa, Japan. Dr. Neal S. Young, Chief of the Hematology Branch at the NIH's National Heart, Lung, and Blood Institute, was the study's co-leader. Almost 1,000 new cases of aplastic anemia occur each year in the United States alone. Although the disease can affect anyone, children and young adults make up the majority of cases. Stem cells in the bone marrow are normally responsible for producing blood. In aplastic anemia, the body's immune system appears to destroy these stem cells.Historically, severe aplastic anemia was almost always fatal due to infections and bleeding. Today, bone marrow transplantation can cure the condition, but it is not widely available and requires hard-to-find donors. 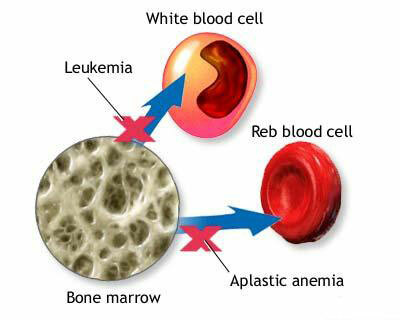 Doctors generally treat aplastic anemia effectively using immunosuppressives--drugs that prevent the immune system from attacking bone marrow--allowing recovery of the patient's own marrow and long-term survival. However, about 15 percent of patients on immunosuppressives develop cancer of the blood--acute leukemia and myelodysplastic syndromes--months or years following treatment. For decades, researchers in the genetics field have theorized that the protein spools around which DNA is wound, histones, remain constant in the brain, never changing after development in the womb. Now, researchers from the Icahn School of Medicine at Mount Sinai in New York have discovered that histones are steadily replaced in brain cells throughout life - a process which helps to switch genes on and off. This histone replacement, known as turnover, enables our genetic machinery to adapt to our environment by prompting gene expression, i.e., the conversion of genes into the proteins that comprise cellular structures and carry signals in the brain. This new concept, described in a study led by researchers in the Department of Pharmacology and Systems Therapeutics at the Icahn School of Medicine at Mount Sinai, and at the Laboratory of Chromatin Biology and Epigenetics, The Rockefeller University, was published in the July 1, 2015 issue of the journal Neuron. The article is titled “Critical Role of Histone Turnover in Neuronal Transcription and Plasticity.” The study's findings argue against the long-held belief that histones, part of the chromatin structure that packages and protects genetic material in chromosomes, are highly stable proteins in non-dividing cells like nerve cells. The study authors argue that aging histones are instead constantly replaced with new histones, rather than being created once and remaining attached to DNA throughout a person's life. The newfound mechanism is epigenetic, meaning it fine-tunes gene expression without changing the DNA code we inherit from our parents. A newly-discovered, 48-million-year-old fossil, known as a "Jesus lizard" for its ability to walk on water, may provide insight into how climate change may affect tropical species, according to a study published on July 1, 2015 in the open-access journal PLOS ONE by Dr. Jack Conrad from American Museum of Natural History. The article is titled: “A New Eocene Casquehead Lizard (Reptilia, Corytophanidae) from North America.” Modern relatives of the Jesus lizard live in an area stretching from central Mexico to northern Colombia, flourishing in the higher temperatures found at the equator. Members of various animal, plant, fungal, and other clades currently confined to the tropics or subtropical areas are often found in fossil records at mid-to-high latitudes from warm periods in Earth history. The 48-million-year-old fossil, recovered from the Bridger Formation (image) in Wyoming, is the first description of a new species, named Babibasiliscus alxi by the author, and may represent the earliest clear member of the Jesus lizard group, Corytophanidae. This group, which includes iguanas and chameleons, remains poorly understood, due to the small number of fossils available for study. The author suggests Babibasilscus alxi was likely active during the day and spent a lot of time in trees. A ridge of bone on the skull gave it an angry look while providing shade for its eyes. Each small tooth had three points suitable for eating snakes, lizards, fish, insects, and plants, but with a fairly large cheekbone, the lizard may have enjoyed larger prey items as well. The author suggests that the two-foot long casquehead lizard Babibasiliscus alxi, may have skimmed the surfaces of lush, watery habitats in Wyoming, which at the time probably had a climate matching today's tropics. A single-celled marine plankton evolved a miniature version of a multi-cellular eye, possibly to help see its prey better, according to University of British Columbia (UBC) research published online on June 1, 2015 in Nature. The article is titled “Eye-like Ocelloids Are Built from Different Endosymbiotically Acquired Components.” In fact, the “ocelloid” within the planktonic predator looks so much like a complex eye that it was originally mistaken for the eye of an animal that the plankton had eaten. “It’s an amazingly complex structure for a single-celled organism to have evolved,” said lead author Greg Gavelis, a zoology Ph.D. student at UBC. “It contains a collection of sub-cellular organelles that look very much like the lens, cornea, iris, and retina of multicellular eyes found in humans and other larger animals.” Scientists still don’t know exactly how the marine plankton, called warnowiids, use the eye. Warnowiids use small harpoon-like structures to hunt prey cells in the plankton, many of which are transparent. The researchers speculate that the eye helps warnowiids detect shifts in light as it passes through their transparent prey. The structure could then send chemical messages to other parts of the cell, showing them in which direction to hunt. “The internal organization of the retinal component of the ocelloid is reminiscent of the polarizing filters on the lenses of cameras and sunglasses,” said UBC zoologist Dr. Brian Leander, senior author on the paper. “It has hundreds of closely packed membranes lined up in parallel.” The researchers—including members of the labs of UBC microbiologist Dr. Patrick Keeling and virologist Dr. Curtis Suttle—gathered samples of warnowiids off the coasts of British Columbia and Japan. Researchers from the University of Copenhagen in Denmark have discovered what regulates an enzyme that is central to the growth of cancer tumors. This could be of great value to future cancer treatment. Danish researchers from the University of Copenhagen have discovered what controls the enzyme that aids the growth of cancer tumors. These findings could be of great value to cancer treatments and they were published online on June 25, 2015 in Nature Communications. The enzyme is called ADAM17 (image), a metalloproteinase, and it aids growth in cells. The article is titled: The Sorting Protein PACS-2 Promotes ErbB Signalling by Regulating Recycling of the Metalloproteinase ADAM17.” "ADAM17 is very important to the growth of cancer tumors. It functions as a molecular pair of scissors, separating molecules from the cell's surface which then increases cell growth. The problem being that in cancer cells this growth is over-activated and so the cancer tumor grows rapidly and uncontrollably," Postdoc Dr. Sarah Dombernowsky explains. She is a member of Associate Professor Marie Kveiborg's research group at the Department of Biomedicine & BRICK, at Copenhagen Biocenter. Researchers from all over the world have long been interested in finding ways to restrict ADAM17 and thus inhibit the growth of cancerous tumors. Among other things, they have tried to impede the process with different drugs. However, these drugs also obstructed other important scissors, which led to patients suffering severe side effects. This is why it is of such great importance that Dr. Dombernowsky and her colleagues have now identified a mechanism that controls ADAM17. "We have discovered that the protein PACS-2 plays a big part in the transportation of ADAM17 in cells. University of Texas (UT) Southwestern Medical Center scientists collaborating with University of Michigan researchers have found a previously unidentified mechanism that helps explain why stem cells undergo self-renewing divisions but their offspring do not. Adult stem cells provide a ready supply of new cells needed for tissue homeostasis throughout the life of an organism. Specialized environments called “niches” help to maintain stem cells in an undifferentiated and self-renewing state. Cells that comprise the niche produce signals and growth factors essential for stem cell maintenance. The mechanisms that allow for reception of these signals exclusively by stem cells and not their more specialized progeny remain poorly understood. “This finding stands to change the way we think about how stem cells and their neighbors communicate with one another,” said Dr. Michael Buszczak (at right in photo), Associate Professor in the Department of Molecular Biology and with the Hamon Center for Regenerative Science and Medicine at UT Southwestern. The findings were published online on July 1, 2015 in Nature. The article is titled “Nanotubes Mediate Niche–Stem-Cell Signalling in the Drosophila Testis.” Scientists have been working to understand how the signaling between niches and stem cells works. “These signals act over a short range, so only stem cells − but not their differentiating progeny − receive the self-renewing signals,” said Dr. Buszczak, E.E. and Greer Garson Fogelson Scholar in Medical Research. “The mechanics of this communication were not known. What we discovered was that the stem cells form microtubule-based nanotubes, which extend into the niche. An international team of scientists has discovered the deepest underground-dwelling centipede. The animal was found by members of the Croatian Biospeleological Society in three caves in Velebit Mountains, Croatia. Recorded as deep as 1,100 meters below ground the new species was named Geophilus hadesi, after Hades, the God of the Underworld in the Greek mythology. The research was published online on June 30, 2015 in the open-access journal ZooKeys. The article is titled “At the End of the Rope: Geophilus hadesi sp. n. - the World's Deepest Cave-Dwelling Centipede (Chilopoda, Geophilomorpha, Geophilidae). Lurking in the dark vaults of some of the world's deepest caves, the Hades centipede has also had its name picked to pair with another underground-dwelling relative named after Persephone, the queen of the Greek underworld. Centipedes are carnivores that feed on other invertebrate animals. They are common cave inhabitants, but members of this particular order, called geophilomorphs, usually find shelter there only occasionally. Species with an entire life cycle confined to cave environments are exceptionally rare in the group. In fact, so far the Hades and Persephone centipedes are the only two geophilomorphs that have adapted to live exclusively in caves, thus rightfully bearing the titles of a queen and king of the underworld. Like most cave-dwellers, the newly discovered centipede shows unusual traits, some of which commonly found in cave-dwelling arthropods, including much elongated antennae, trunk segments, and leg claws. Equipped with powerful jaws bearing poison glands and long curved claws allowing to grasp and tightly hold its prey, the Hades centipede is among the top predators crawling in the darkness of the cave. Living with Type 1 diabetes requires constant monitoring of blood sugar levels and injecting insulin daily. Now, scientists have reported, online on June 9, 2015 in the ACS journal Industrial & Engineering Chemistry Research, the development of an implantable "artificial pancreas" that continuously measures a person's blood glucose level and can automatically release insulin as needed. The article is titled “Design and Evaluation of a Robust PID Controller for a Fully Implantable Artificial Pancreas.” Type 1 diabetes, previously known as juvenile diabetes, affects about 1.25 million Americans. About 200,000 of them are under 20 years old. The condition most commonly arises when a person's own immune system destroys the pancreas cells (beta cells) that make insulin, the hormone that converts blood sugar into energy. To make up for this loss of insulin production, patients must take insulin daily. Current delivery methods involve multiple daily injections or insulin pump therapy, both requiring the user to actively track glucose and calculate the needed insulin dose. There is also a significant time lag between when a dose is needed and when it can take effect. Dr. Francis J. Doyle III and colleagues from the University of California (UC) Santa Barbara and the Sansum Diabetes Institute in Santa Barbara, wanted to find a way to make monitoring and insulin delivery automatic and needle-free. The researchers designed an algorithm that monitors blood sugar levels and computes an insulin dose that it delivers quickly and automatically when necessary. The algorithm is designed to work with implanted devices, specifically with an artificial pancreas, and would overcome the delays experienced with current devices. “Exosome Market Dynamics, Part 1” produced by Select Biosciences was published on June 22, 2015 by Genetic Engineering &Technology News (GEN). Authored by Enal Razvi, Ph.D., and Gary Oosta, Ph.D., this report represents the first of three reports on the exosome marketplace that GEN plans on publishing. This first report is the Select Biosciences industry analysis on exosomes, focusing on the technology trends and evolution of this field. The report describes the penetrance of different technologies into the exosomes space and frame this into the overall evolution of this field—indeed, the utilization of different technology platforms foretells the expansion of specific segments—e.g., RNA cargo analysis vs protein cargo analysis derived from exosomes. In GEN’s belief, these data frame the big picture of the exosomes field. In the next report on this topic, GEN will be exploring the specific biomarkers that have been studied in exosomes/extracellular vesicles thus far. The entire report can be accessed at the link provided below. With regard to the authors, Enal Razvi, Ph.D., conducted his doctoral work on viral immunology and, subsequent to receiving his Ph.D., went on to the Rockefeller University in New York to serve as Aaron Diamond Post-Doctoral fellow under Professor Ralph Steinman (Nobel Prize Winner in 2011 for his discovery of dendritic cells in the early-70s with Dr. Zanvil Cohn). Subsequently, Dr. Razvi completed his research fellowship at Harvard Medical School. For the last two decades Dr. Razvi has worked with small and large companies and consulted for more than 100 clients worldwide. He currently serves as Biotechnology Analyst and Managing Director of SelectBio U.S. He can be reached at enal@selectbio.us. Gary M. Oosta holds a Ph.D. in Biophysics from Massachusetts Institute of Technology and a B.A. As the South Korean epidemic of Middle East Respiratory Syndrome (MERS) continues unabated, researchers have raced to find treatments for the deadly virus, which has killed more than 400 people since it was first discovered three years ago in Saudi Arabia. Now, scientists at the University of Maryland School of Medicine and Regeneron Pharmaceuticals, Inc., have discovered and validated two therapeutics that show early promise in preventing and treating the disease, which can cause severe respiratory symptoms, and has a death rate of 40 percent. These therapeutics are the first to succeed in protecting and treating animal models of the MERS virus. The study was published on June 29, 2015 in the journal Proceedings of the National Academy of Sciences (PNAS). "While early, this is very exciting, and has real potential to help MERS patients," says a lead researcher on the study, Matthew B. Frieman, Ph.D., an Assistant Professor of Microbiology and Immunology at the University of Maryland School of Medicine (UM SOM). "We hope that clinical study will progress on these two antibodies to see whether they can eventually be used to help humans infected with the virus." 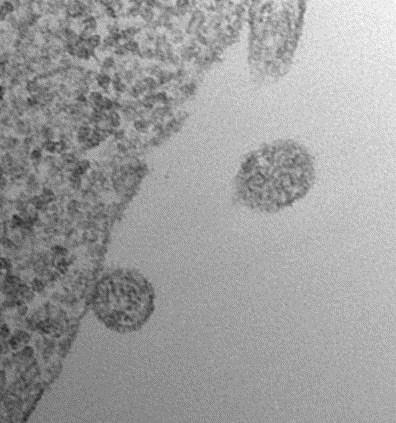 The two antibodies, REGN3051 and REGN3048, showed an ability to neutralize the virus. This research, done in collaboration with Regeneron, a biopharmaceutical company based in Tarrytown, New York, used several of the company's proprietary technologies to search for and validate effective antibodies targeting the virus. 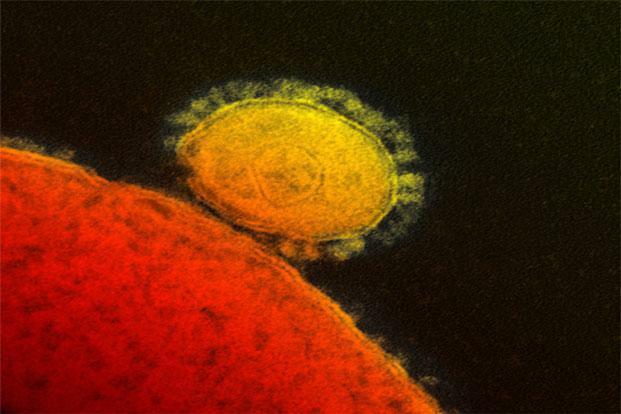 MERS was first discovered in 2012 in Saudi Arabia. It appears that the disease spread to humans from camels, who may themselves have been infected by bats. Research has shown that MERS is similar to severe acute respiratory syndrome (SARS); both are caused by Coronaviruses, both cause respiratory problems, and both are often fatal.